Chihiro has completed a Diploma of Remedial Massage at the Australian College of Sports and Fitness. Her interest in massage therapy began in Japan where she understood the healing benefits of massage. Chihiro’s philosophy is ‘A sound mind dwells in a sound body’. She uses various techniques in her treatment that can aid the body in regaining balance and helping itself to heal. Her treatment techniques include Shiatsu, functional release and myofascial release and she tailors her treatment to the need of the individual clients. She will arrange massage plan for each patient owing to the individual’s life-style needs and stages of life they are in. 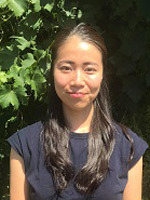 Chihiro is able to treat a wide variety of people ranging in age and physical needs and is keen to improve the quality of life for her patients. Outside of work her favourite daily routine in life is Yoga which she has been practising for nearly 10 years.